Hi. I was born and raised in Philadelphia. After an undergraduate degree in biology from Penn State and a masters in teaching from Widener, I joined the Peace Corps and served as a teacher-trainer for two years. I think my teaching was enriched by my experiences there, especially with regard to my appreciation of global ecological problems. After the Peace Corps, I received my doctorate from Temple University, where I studied neurogenetics in Drosophila. 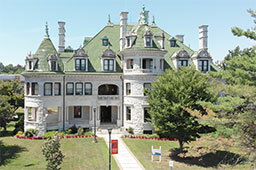 I have taught a wide range of courses at SUNY Orange and in Philadelphia, including Genetics, Anatomy and Physiology I and II, General Biology I and II, Prehistoric Life, Biology for Today, Environmental Science, Human Biology, Microbiology, and Chemistry. I love to be in the classroom, where my classes and I perform a variety of activities as diverse as DNA fingerprinting, the study of actual human brains, the analysis of the most primitive fish alive today, discussions on the ethical implications of genetic engineering and the role of genes in human behavior, simulations of physiological processes (which may include the use of paper cutouts of DNA nucleotides or monster masks in our discussion of immune function), and the singing of the Endocrine Song. At school, I am especially interested in genetics, the brain, evolution, and the history of scientific thought. At home, I unwind with my family and enjoy hiking, canoeing, and playing guitar.